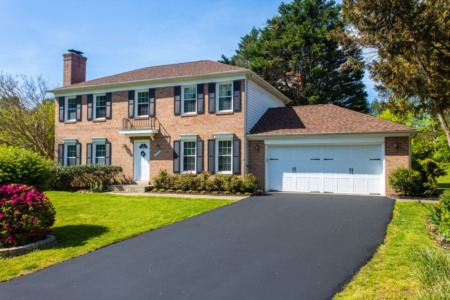 UPDATE: 313 Crosman Ct, Purcellville, VA SOLD for $541,650. Find out how much your property might sell for with our Instant Home Value Estimator. The sale of 313 Crosman Ct involved many moving pieces and is a true telling of the domino effect. Real estate transactions can be complex and we love helping our clients understand every aspect so that they can make educated decisions that are best for their unique situation. The prospective buyers of 313 Crosman had to sell their current home in order to move forward with the purchase. The buyer’s current home was already under contract with a new buyer so when they made an offer on 313 Crosman, they included a Settlement of Buyer's Property Contingency in the contract. This Settlement of Buyer's Property Contingency meant that their purchase of Crosman would be dependent on their home successfully selling first. We discussed with our sellers the pros and cons of the offer along with the risks involved in accepting an offer with this contingency. The sellers ultimately decided that the price and overall terms were agreeable and accepted the buyers’ offer. Everything with the transaction was going along smoothly, but towards the finish line the sale of the buyer's current home fell through. Because of the Settlement of Buyer's Property Contingency, the buyers of Crosman were not obligated to move forward with the purchase of Crosman. However, they loved Crosman and still wanted to make it their new home. At this point, the sellers of 313 Crosman had a choice. They could either cancel the contract with with current buyers and go back on the market to find a new buyer, or they could continue to work with the current buyers. Since they knew how much the current buyers loved the home and had already successfully made it through the inspection and appraisal contingencies, the sellers decided that they wanted to continue working with the current buyers. To resolve the issue, we amended contingencies in the contract to allow the buyers to put their current home back on the market to identify a new buyer in order to sell their current home before closing on Crosman. The buyers of Crosman were able to quickly find a new buyer for their home and within a few weeks they were the new owners of 313 Crosman Ct! The transaction had a lot of twists and turns, but ended with very happy sellers and buyers. Looking to purchase a home in Purcellville? Take a look at these Purcellville homes for sale. Picture perfect in Purcellville and on a cul-de-sac, 313 Crosman Ct features 4 bedrooms, 3 full/1 half baths, desirable open floor plan with 4,229 sq. ft. of living space, 2 car garage and beautiful fenced yard for viewing the Virginia seasons. Elegantly finished with double crown molding, fresh paint and 5” hand scraped European hardwood floors, the main floor will have you wanting to host the family right away. Guests can relax in the 2-story family room with stunning floor to ceiling stone surround gas fireplace and large windows that brighten the room. Every detail was included in this gourmet kitchen with stainless appliances, granite counters and backsplash. A center island/breakfast bar with seating for 2, cabinets galore and a view of the garden from the sink finish the space with a warm and inviting feel. A quiet office with french glass doors makes working from home a breeze. This level also offers a formal dining and living room, perfect for more formal affairs. When it is the end of the day, rest your head in the master suite with angled ceiling and fan, walk-in closets and spa-like bathroom. With dual sink vanity, soaking tub, separate shower, and tile floors, this bathroom is what dreams are made of. Finishing out the upper level are 3 spacious bedrooms, an additional full bathroom perfect for sharing, and separate laundry room with tiled floor and LG washer and dryer with steam feature. Movie night can be held in the finished lower level with Berber carpet, recessed lighting and a built in speaker system. It is the perfect spot for fun with friends with a wet bar and gaming area. Additional den area is great for practicing with the band or having your own crafting area, the options are endless. Convenient full bath on this level is perfect for overnight guests. Enjoy the great outdoors in your own professionally landscaped oasis with gazebo for gazing at nature. Purcellville offers great entertainment with hiking, touring farms, wineries and plenty of dining and retail options. Just 25 miles to Dulles Airport for travel and 30 minutes to Winchester and Leesburg. Ready to make a move? We are here to help!